The world’s best surfers will compete in an idyllic town sandwiched between world-class waves and wineries. This June, Margaret River will host a stop of the most prestigious surfing circuit in the world, the World Surf League Championship Tour. The competition, an annual fixture in the sport since 1985, will bring together 54 of the best surfers on earth. The tournament will see Aussie champions Stephanie Gilmore (women’s world number one), Sally Fitzgibbons, 2018 runner-up Julian Wilson and dark horse Owen Wright compete against veteran champion Kelly Slater, Gabriel Medina (men’s world number one) and multiple title winner Carissa Moore. Like all surfing events in the world tour, Margaret River is scheduled over several days, with the actual competition only happening on days when the surf is appropriately exciting. Follow worldsurfleague.com, the WSL app, or @wsl on social to stay up to date on the competition schedule. Margaret River may be a small town and a whole three hours from Perth, but it’s close to plenty of great surfing spots (check Yallinup and Boodjidup) and a booming wine region, with many acclaimed restaurants and wineries nearby. If you’re looking for less sedentary land-based activities, try mountain biking in Busselton. There will also be VIP experiences on offer throughout the tour, both around the country and internationally. Check them out here. 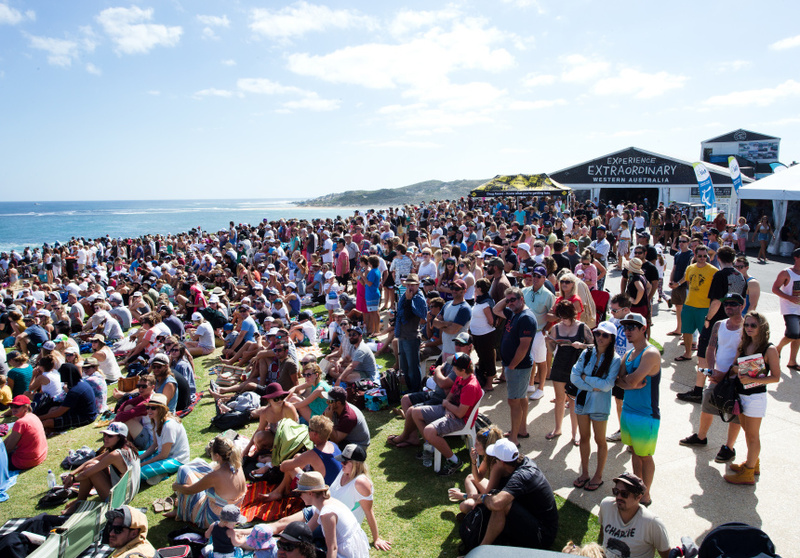 This article is produced by Broadsheet in partnership with World Surf League.